LONDON, December 8, 2005: The online casino and poker room standards authority eCOGRA was voted the gold medal for Top Watchdog by over 27,000 players voting in the 2005 Gambling Online Magazine annual awards this week. Resolving player disputes with the casinos and poker rooms under its authority is a key aspect of eCOGRA as an international non-profit body which offers the free Fair Gaming Advocate mediation service to players who have been unable to resolve disputes at casino or poker room level. Andrew Beveridge, CEO of eCOGRA said that the board of directors was delighted with the accolade. “Player protection is the primary goal of eCOGRA around which our requirements and standards are framed, so it is very rewarding that players have recognised our efforts in this way,” he said. 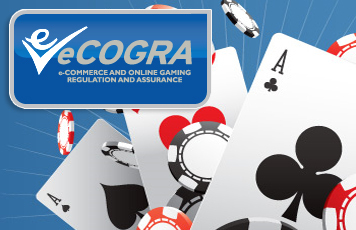 Founded in 2003 to set and improve operational standards and player safety in the online gambling space, eCOGRA has amassed a wealth of experience in implementing international best practice standards and requirements and ensuring these are maintained through regular review and monitoring. Over 200 of the most established and successful internet gambling websites are accredited and policed by the independent, London-based company, which is staffed by professional auditors with Big 4 auditing firm experience, information system experts and responsible gambling specialists. The company is an accredited testing agency with several jurisdictions, and has been awarded the United Kingdom Accreditation Service (UKAS) ISO approval ISO/IEC 17025:2005 : General Requirements for the competence of testing and calibration laboratories. This accreditation is one of the quality assurance requirements for approval as a testing agency in various European online gambling licensing jurisdictions.